Megamerica Mortgage Group, Inc. operates as a full service mortgage broker and correspondent lender. Megamerica was founded in 1994 by Ron Wakefield as a vehicle for mortgage brokers and loan officers to increase their profits by going into business for themselves, yet still having the benefits of a larger company. Our reputation and excellent service allows us to pass on to our affiliates the special pricing and variety of products available with our list of approved lender relationships. We offer small businesses the look and feel of big companies almost overnight by the ability to offer a broader array of services and capabilities. We have built a strong reputation as an outstanding mortgage lender, serving the needs of real estate professionals, builders, loan originators and individual homebuyers for over 20 years! We’re a full service mortgage loan company with an experienced staff of dedicated Mortgage Brokers offering expertise in every area of home lending. We have access to a full range of mortgage sources and all of our lending specialists are dedicated to finding the right loan–with the best rates, terms and costs–to meet your unique needs. But that’s just the beginning of our service. Call and speak to a Megamerica Mortgage Broker today (800) 324-0060. The principle mission of Megamerica Mortgage Group, Inc. is to take the “institution” out of lending institutions. We accomplish this by eliminating the sluggish bureaucracies, frustrating bottlenecks and needless overhead of traditional mortgage lending institutions. We pass these savings on to our network of brokers and customers alike, along with the most competitive rates and personalized service in the marketplace. 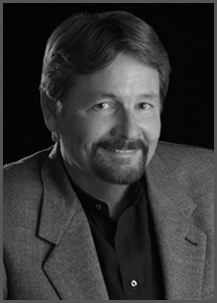 Ron Wakefield has knowledge of all aspects of the real estate loan transaction. Ron was Chairman for the Mortgage Broker Task Force which was responsible for the current Mortgage Broker License Act. He is a past NAR and TAR Director, past President of the Texas Association of Realtors, past President of San Antonio Board of Realtors, former Federal Credit Union Chairman and served on the Presidential Advisory Group on RESPA Reform. Serving on the Budget and Finance Committee as Chairman (state and local) and the Mortgage Finance Task Force on the state level, he also served four years at the national level on Conventional Finances. He also has chaired on the Legal Review Committee, Legislative Committee and Legislative Management Team on the state level. Austin, Texas – 2003 Governor Rick Perry has announced the appointment of Ronald Charles Wakefield to the Real Estate Research Advisory Committee for a term to expire January 31, 2009. The real estate committee advises the Texas Real Estate Research Center at Texas A&M University, which conducts real estate related research based on Texans' needs. The appointment is subject to senate confirmation. In 2009 Ron was re-elected for an additional 6 year term. “Thank you for visiting Megamerica online.